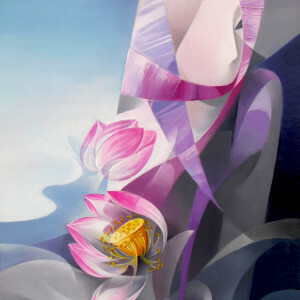 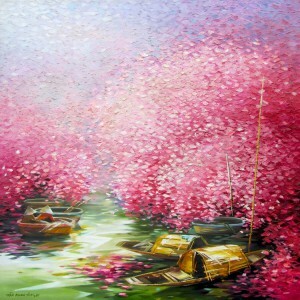 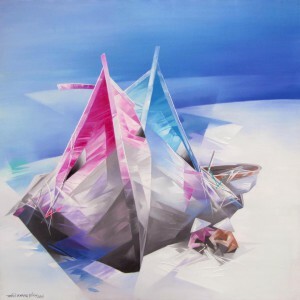 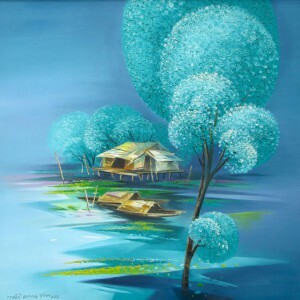 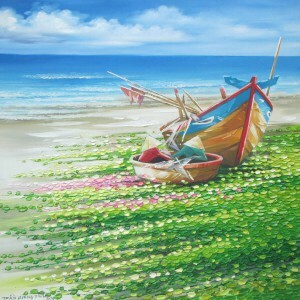 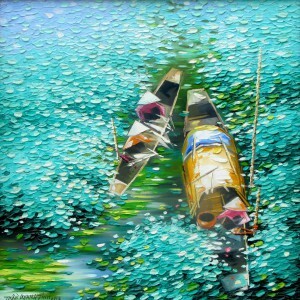 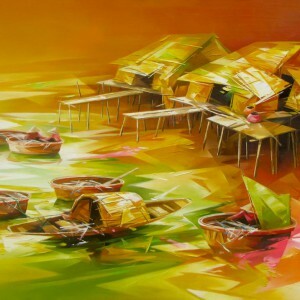 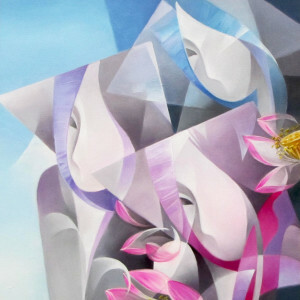 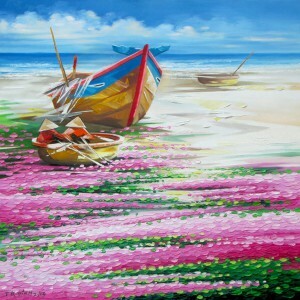 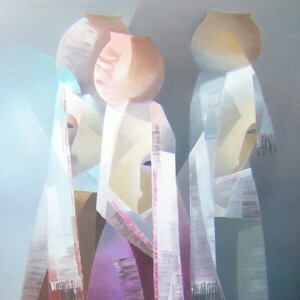 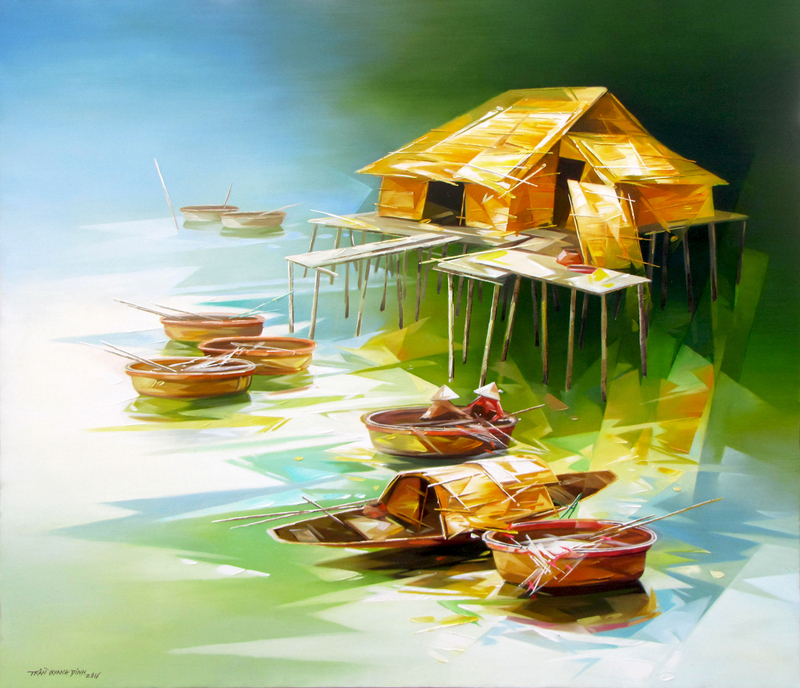 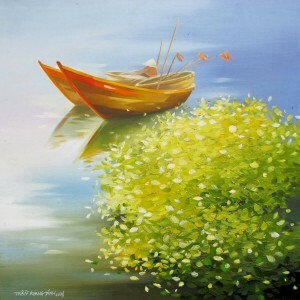 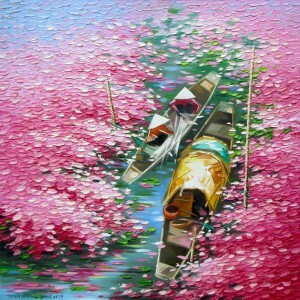 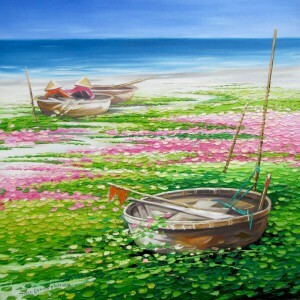 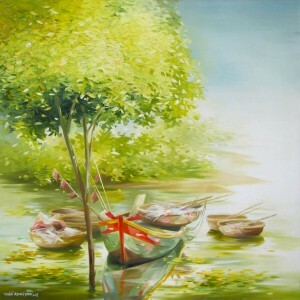 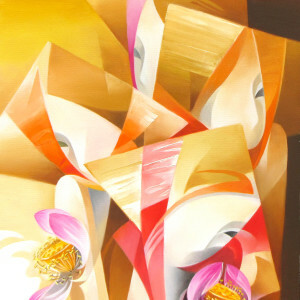 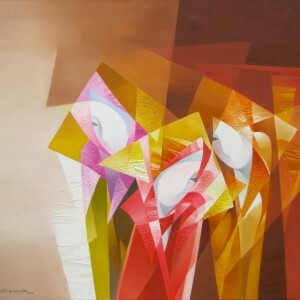 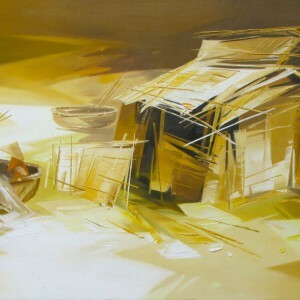 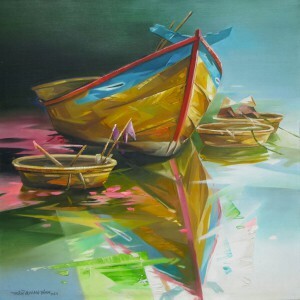 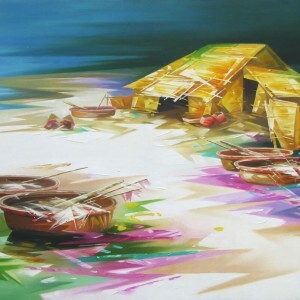 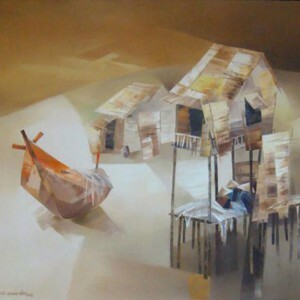 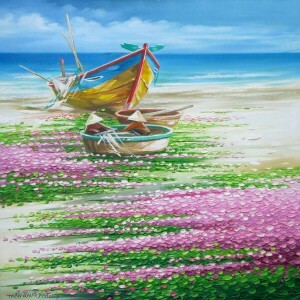 Contemporary Asian artist, Tran Quang Dinh’s painting style has a unique mix of traditionalism and modernity. 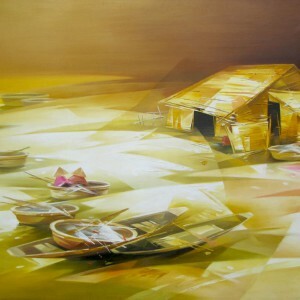 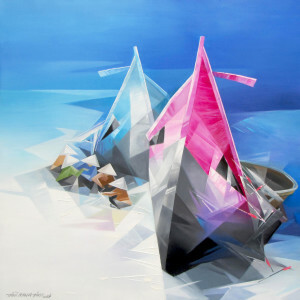 Being in love with his homeland, the artist seeks to express his deeply personal perception of its beauty, presenting everyday moments, like this rural landscape, in geometricized outlines. 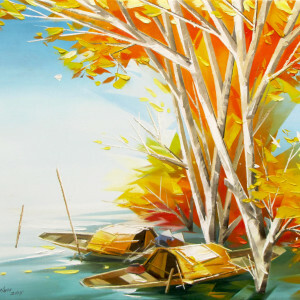 This stylization gives the familiar landscapes a fresh and unfamiliar look.